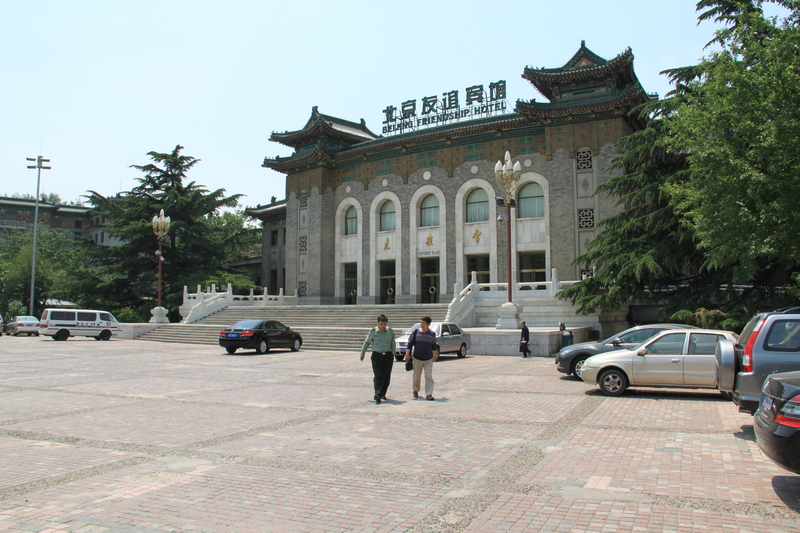 The Linac18 will be held at the Beijing Friendship Hotel. 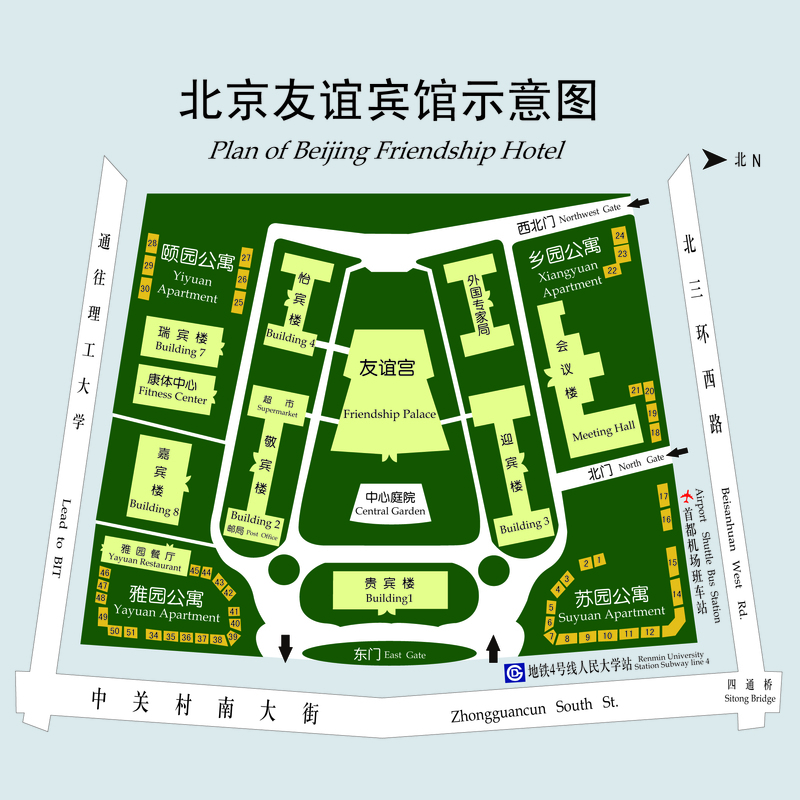 The Beijing Friendship Hotel is one of the largest garden-style hotels in Asia. Located in the heart of ZhongGuanCun Hi-Tech Zone, neighbors many world famous tourist sites and universities such as Tsinghua and Peking University, the Summer Palace. 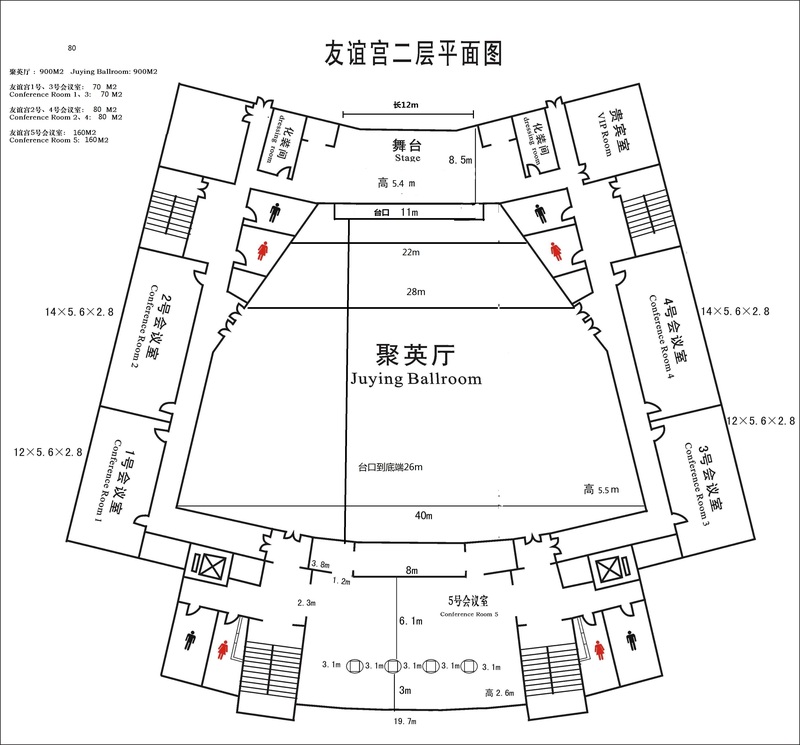 The conference room is Juying Ballroom of the Friendship Palace in Beijing Friendship Hotel. 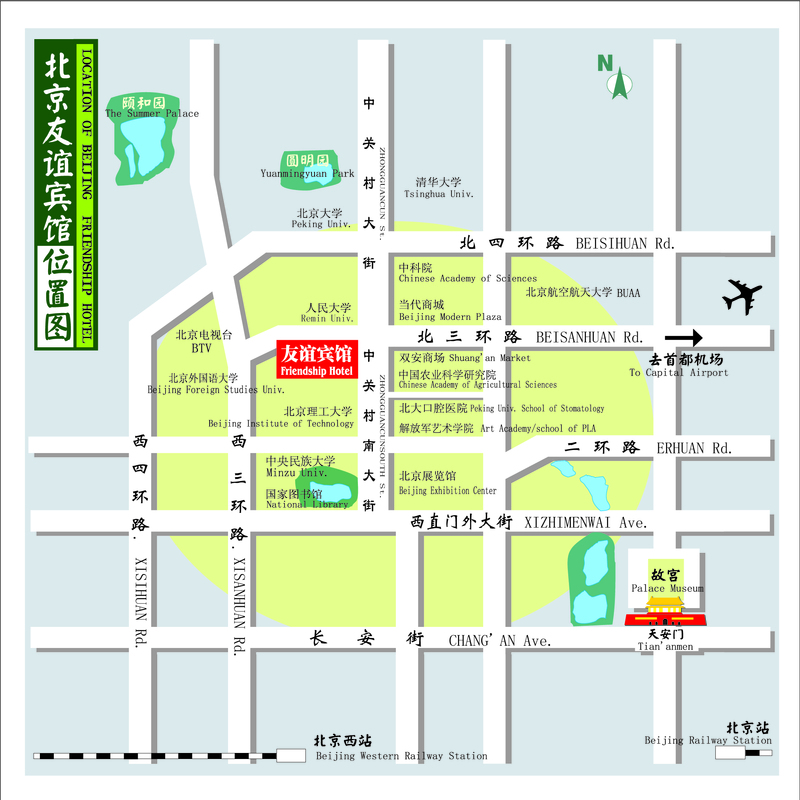 Take the shuttle bus (Capital Airport to Gongzhufen), get off at the stop of Friendship Hotel. Take bus 320 695 or Double-decker bus 6, get off at the stop of Chinese Academy of Agricultural Sciences. Take subway line 9 at National Library station, transfer to line 4 , get off at Renmin University station. Please use Exit D.
Take bus 814, get off at the stop of Chinese Academy of Agricultural Sciences. Take subway line 4, get off at Renmin University station. Please use Exit D.
Take subway line 1 at Tiananmen East or Tiananmen West station, transfer to line 4, get off at Renmin University station Please use Exit D.